It’s our 10th Gateshead challenge this year! We’ve made it to week 10 of celebrating #Angel20, the 20th Birthday of the Angel of the North. This special occasion has inspired poetry, making, drawing, designing, story telling and even time travel, all in the name of the sculpture! With this in mind, we think that this week, to mark Challenge 10, we should invite you to set your own challenge. 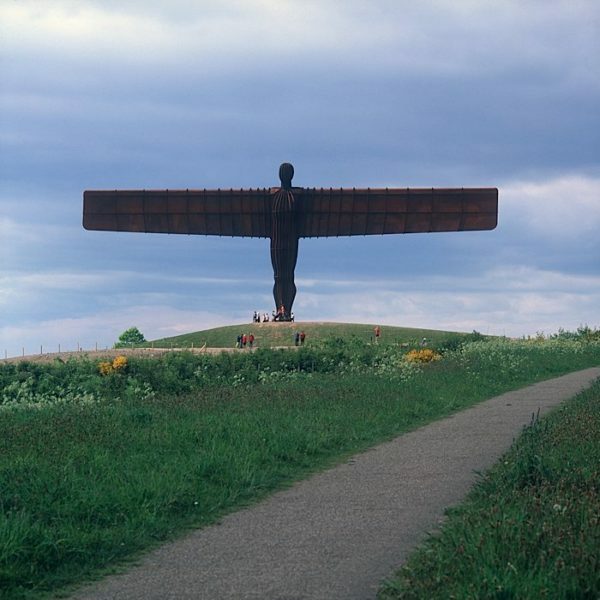 How would you celebrate the Angel of the North or use it as inspiration for a creative activity? Design your own Angel of the North Creative Challenge. Invite others to complete it or do it yourself! Consider its defining features, its aesthetics, its qualities, its history, its meaning. What excites, inspires or challenges you about the sculpture and how could you invite expression and creative dialogue around it? Remember to keep it free and quick. Ready, set, go! Find a partner and set each other an Angel of the North inspired challenge. Come back together (in person or online) to share your creative response and discuss! How did it feel to be setting your own challenge? Did you complete your own or someone else’s? How was this challenge different for you compared to the other Angel of the North activities?